West Wales. It’s beautiful, unique, quirky – and unless you’ve been here, lived and breathed West Wales, almost impossible to fathom out. The seasonality, the geography, the roads… It’s Team Templeton’s mission to combine the best of this amazing place where we live and work in with brilliant customer service. That’s about it. What is Team Templeton all about? 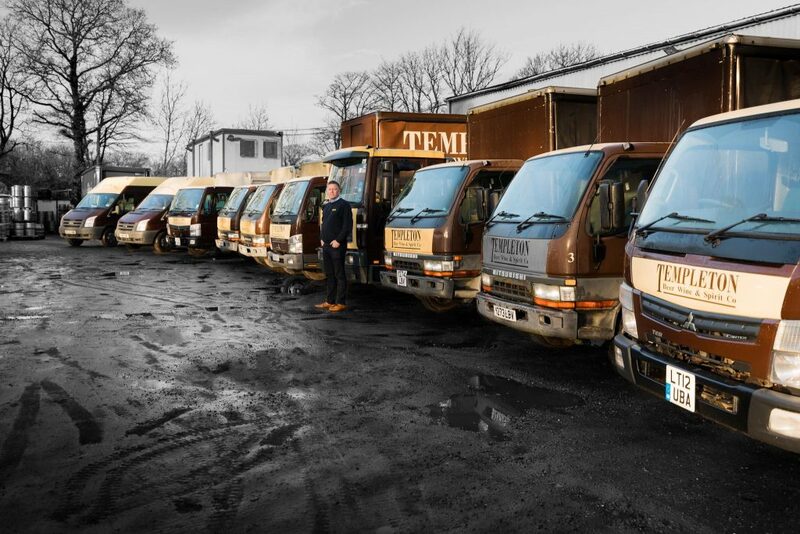 Our office team, our reps and our delivery drivers – together, we make Team Templeton what it is. ‘Team Templeton’ is committed to our customers – whoever you speak to, we’re all here to make sure your needs are met. Whether you’re a pub, a restaurant or café, we can keep you stocked on a daily basis. As a wholesale customer, you’ll have our phone number on speed dial. 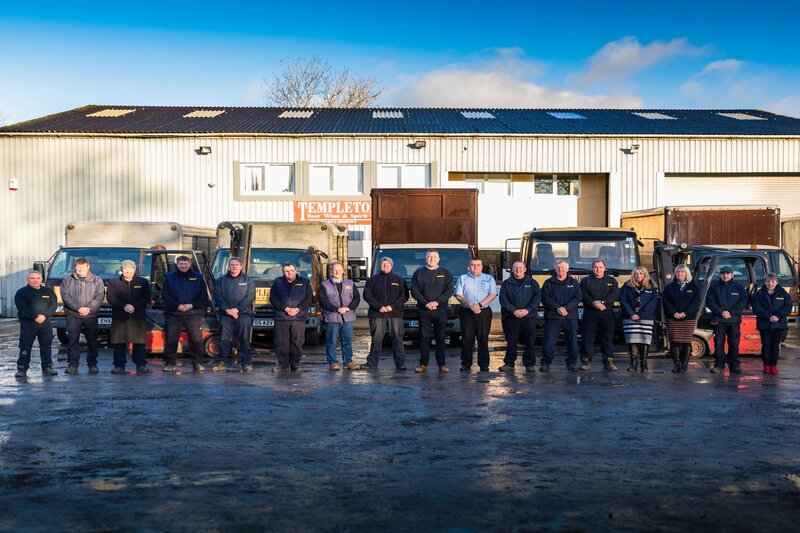 Team Templeton is on hand during the day to take your orders. Our answer machine works hard for us at night. Never underestimate the power of our answer machine – it lets us take your orders as you’re re-stocking at the end of a long shift. No need to remember to call us in the morning – we’ll pick up your message when we get in, and make sure you get what you need as soon as possible. I’r rhai sydd am siarad yn Gymraeg- dim ffwdan! Rydym yma I helpu! As a distributor, we offer a valuable service to those breweries and drinks producers selling in to West Wales. From our unit in Pembrokeshire, including a cooled storage facility for real ales, we can handle your onward deliveries throughout West Wales – Aberystwyth, Ammanford and Angle (the 3 ‘A’s, as we like to call them). 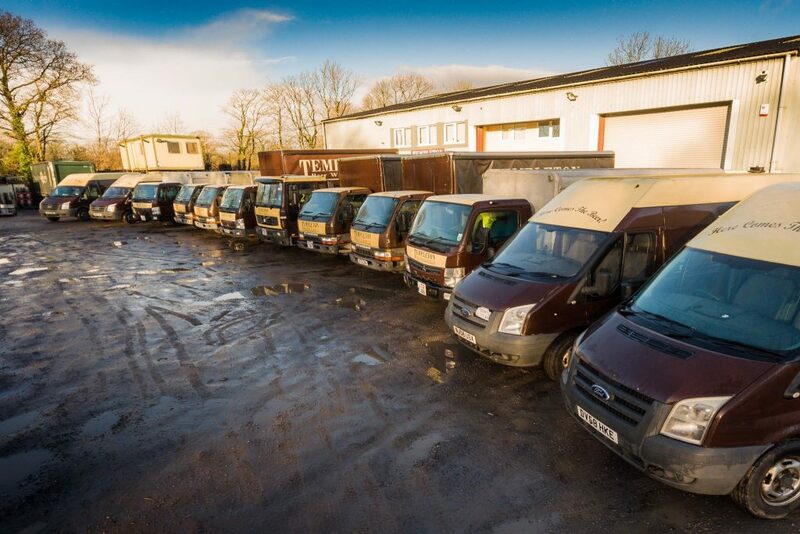 We have a fleet of vehicles suited to the intricate and sometimes baffling road network, and a team of drivers who know the place like the back of their hand. We wanted to give wine and beer lovers the chance to enjoy their favourite tipples, discovered in bars or restaurants, at home. Since 2012, we’ve grown our online off licence service to the point where we pick, pack and dispatch home deliveries from our vast range of wine and speciality bottled beers, lagers and ciders across the UK on a daily basis. Wherever you are in the UK, you’ll benefit from our exceptional service as if you were just down the road – we’re never far from your door – which means your favourite bottles aren’t either. At the other end of the scale, Team Templeton supports the local community with a variety of services. Our ‘mobile bar’ is perfect for groups and organisations – Young Farmers, agricultural shows, festival groups – looking to make money at a large-scale event through alcohol sales. We can also provide equipment for those of you looking to run a bar at a smaller event – a wedding or party for example – when a mobile bar is too big, but you want something a bit special. And of course, alongside the equipment, we can provide you with a wide range of beers, lagers, wines, spirits and soft drinks. Last, but by no means least, Team Templeton does things with a smile and a sense of humour. After all, we’re the folk behind Templeton Wildebeest, a real ale derived from a tall tale heard down the pub one night. We firmly believe that you can deliver excellent customer service and still have a sense of humour – in fact, we think the sense of humour is part of the package. Need a delivery today? Call 01834 860 992 now. The office is staffed 08:00-17:00 Monday to Friday and 09:00-12:00 Saturday and Sunday. We’ll be pleased to take your order, deal with any queries and generally be as helpful as we can. If no-one’s in the office, leave us a message. We have the hardest working answer machine in West Wales, and someone will get back to you as soon as possible. We love to chat, but if you prefer to email, that’s OK too!